Cody Cress is Owner of The CRESS Group, LLC, Partner in Good Monck, LLC and Vice President of Brokerage at Coldwell Banker Commercial Sun Coast Partners, LLC. Cody has a diverse background in real estate as an active broker, investor and developer. He specializes in Industrial, Office, Retail and Investment brokerage in Southeast North Carolina and is licensed in both NC and SC. Since joining CBC Sun Coast in 2007, Cody has successfully closed over 500 transactions including leases, and leases with options; sales involving seller financing, SBA financing, bank-ownership and distress. He has been named the Agent of the Year seven times at CBC Sun Coast. He is also a three-time recipient of the Bronze Circle of Distinction award; top 2% in production in the nation within Coldwell Banker Commercial. Cody is a native North Carolinian, born and raised in Sanford in the heart of the state. Cody earned a Bachelor of Science degree in Environmental Engineering from North Carolina State University. While in college he worked as a co-operative education student with Nortel-RTP in Facilities Engineering where he managed mechanical and environmental projects and contractors to maintain a million-plus square foot facility. Upon graduation, Cody joined an environmental consulting firm specializing in air pollution. During this period, he tested air emissions from industrial sources while working under extremely hazardous conditions in a high-pressure environment. He is especially adept at working under pressure. Subsequently, Cody assumed positions as Sales Manager, Director of Engineering, and General Manager for a company that designed, manufactured and distributed air sampling instruments. Cody travelled to SE Asia, Europe and other foreign countries to manage and train distributors and customers in the use of air testing instruments. His success was measured by a significant increase in sales and profits for this company. Cody’s strength is to look at a company from a broad perspective while analysing every aspect of the business from operations to sales to finance. Why real estate? Passion? Cody’s family history involves the brick industry, beginning with his grandfather. Because he was taught from an early age the value of land and that land must be handled with integrity to preserve it for the future, he has long held an interest in building and developing real estate. 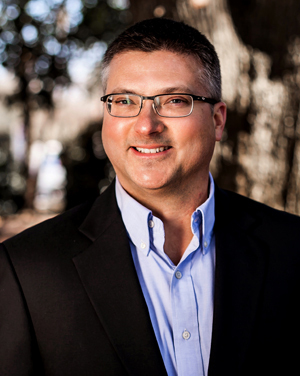 Cody began investing in real estate in 1996 and received a license as a building contractor in 1999. Cody’s technical expertise and analytical skills contribute to the goals and needs of his client. He lives in Wilmington with his wife, Lori, and children, Callie and Chloe and pit bull rescue, Loni.